Scientists have realized for some time now that the extraction of fossil fuels must dramatically slow down if the global temperature rise is to be kept under 2°C. A new study in the science journal Nature, however, is the first to specify and quantify which regions of the world need to cool it on the oil, gas, and coal. Christophe McGlade and Paul Elkins of the University of College London’s Institute for Sustainable Resources created a complex model that, after dividing the world into sixteen regions, considers factors such as the cost of production, the estimated size of reserves and production trends, and the carbon dioxide emissions associated with the combustion of oil, gas, hard coal, and lignite. Perhaps ExxonMobil, forced out of its joint project with Rosneft in Russia’s Kara Sea by U.S. sanctions on dealing with Russian energy companies, actually made a head start in the right direction when it got out in October. Russia, however – arguably the Arctic country most dependent on developing Arctic oil and gas especially as production declines in the older fields of west Siberia – will not be happy with McGlade and Elkins’ findings. But then again, Russians might not worry too much about continuing to drill and thereby bringing about a temperature rise greater than 2°C. A December 2009 Gallup poll found that only 36% of Russians considered global warming to be a serious personal threat. Somewhat surprisingly, the North Americans topped the chart. It might be interesting to see whether there is any correlation between policy decisions on Arctic oil and gas made by the governments of the eight Arctic Council states and perceptions of climate change at the individual level within each country. If national governments in the Arctic heeded the researchers’ recommendation to the oil and gas in the ground, one also has to wonder whether there would be as much of a frenzy amongst the Arctic coastal states over claiming as vast continental shelves as possible. There are other motives at work aside from natural resources such as a desire to own the North Pole, but the possibility of owning the rights to the seabed are also significant. What future for Arctic oil in a climate and capital-constrained world? So if we are to believe the authors of the Nature study, preserving the stability of the global climate means not drilling in the Arctic for the welfare of society and the environment. But if that isn’t convincing enough, the logistics and economics are against it, too. It’s not just a climate-constrained world, but an infrastructure- and capital-constrained, one, too. In just the span of six and a half years, the world has gone from excitement over a potential black gold rush in the Arctic sparked in part by the 2008 publication of the United States Geological Survey’s Circum-Polar Arctic Resource Appraisal (which estimated 90 billion barrels of oil, 1,669 trillion cubic feet of natural gas, and 44 billion barrels of natural gas, of which 84% lies offshore) to scientists warning that all these vast reserves must stay in the ground. Epitomizing the hubris of drilling for oil in the Arctic, the cover story of the New York Times Sunday Magazine on December presented a gripping account of the blunders, cut corners, and bad luck that led to the wreck of the Kulluk, Shell’s mobile drill ship that had participated in the ultimately doomed forays to explore for oil and gas in the Chukchi and Beaufort Seas north of Alaska. Some might call Shell unlucky in having to deal with sea ice that lasted longer than anticipated, thus shortening the operating season, thirty-foot swells, and stormy weather. But that’s the Alaskan Arctic – and there, bad luck is often a result of bad preparation. If we can never prepare enough to safely drill in the Arctic, then perhaps we shouldn’t drill at all. From a pure logistics standpoint, the sheer difficulty of operations in the region mean that it’s safer – and saner – to refrain from drilling in the Arctic. Investments in oil, gas, and coal may be risky for additional reasons. Talk of a “carbon bubble” has led leaders such as the Canadian-born governor of the Bank of England, Mark Carney, to warn in a letter to the UK Parliament’s Environmental Audit Committee that “vast majority of reserves are unburnable.” One of the riskiest spots of all for potential investors could be the Arctic, particularly if 100% of reserves end up being left locked under the melting ice and turn into what Carney and others have termed “stranded carbon.” ConocoPhillips and Statoil have decided not to drill in the region for now, while Total has also spoken out against Arctic drilling (despite hypocritically purchasing Arctic oil). Chevron cancelled its plans in the Canadian Arctic last month, citing “economic uncertainty in the industry.” In March, Shell will decide whether or not it will go ahead with its plans, years in the making and billions in the hole, to drill offshore Alaska. From the perspective of current supply and demand, too, the numbers are against drilling. The price of WTI oil hovers a hair about $50 a barrel, but the break-even price for many Arctic projects starts at $90 a barrel. The price of oil will rise again, and with it, there will inevitably be calls by oil majors announcing that they are ready and prepared to take on the Arctic. 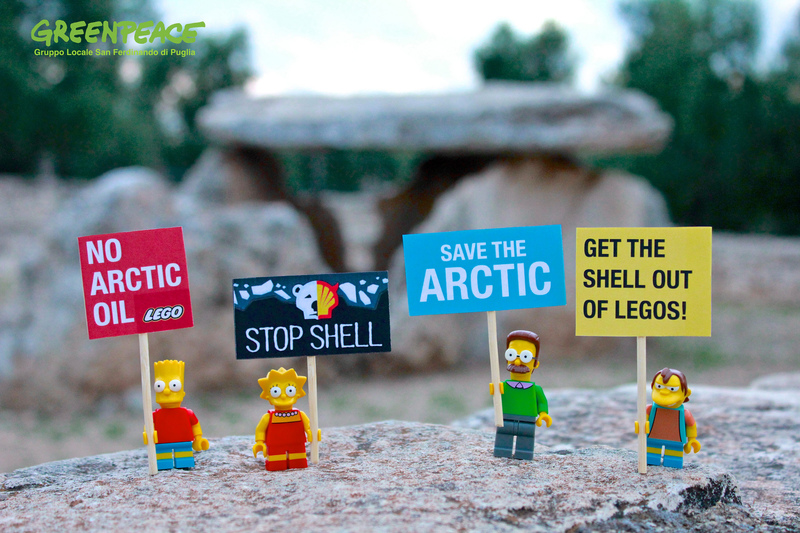 Shell will announce, “Let’s Go!” as it did with this ad it put out a few years ago, complete with a toy polar bear, that Greenpeace later mocked. Some might say that we in the West cannot decide how development will proceed in other parts of the world. For instance, the argument is sometimes made that we cannot deny the billions of people in China and India the right to burn energy and emit carbon in the same manner that many Western countries did earlier this century. Likewise, in the Arctic, some might say that we cannot prohibit indigenous peoples from developing non-renewable resources on their land if they are in favor of it. And indeed, we cannot. But the deeper question to ask is why governments in places like Greenland are issuing licenses for oil and gas development in the first place. In short, this active encouragement of a deeply risky activity is due to the extension of international markets and the global race for natural resources into the earth’s most distant reaches. This extension has denied indigenous peoples the right and the space to choose alternative economic livelihoods, for the spread of these market forces is worldwide – hence the word “globalization.” For people in places like Nunavut and Greenland, winning increased self-determination, sovereignty, and even perhaps one day full nationhood is a victory and a major step forward from colonialism and paternalism. But it is also a harbinger of something else: the transformation of a people into a settled, orderly, and willing participant in the global market, a system that is fueled by the extraction of non-renewable resources. It’s hard to turn down the lure of oil and gas once it comes spouting out of the earth. It will ultimately take a regional or even global consensus to leave all the oil and gas in the Arctic in the ground, and that consensus is probably is just a pipe dream. Yet if the day comes where all of the oil majors choose to stay away from the Arctic, a regional consensus will also be needed to ensure that alternative and meaningful economic livelihoods not dependent on the extraction of non-renewable resources can be sustained in the Arctic. Groups such as the Arctic Economic Council, formed last year, should take the helm and begin preparing for truly sustainable economies in the Arctic rather than just taking a green paintbrush to the status quo. In 2014, the Arctic Council published the “Agreement on Cooperation on Marine Oil Pollution Preparedness and Response in the Arctic.” What the council should really begin working on is an agreement on cooperation on preparedness for and response to a post-oil Arctic. 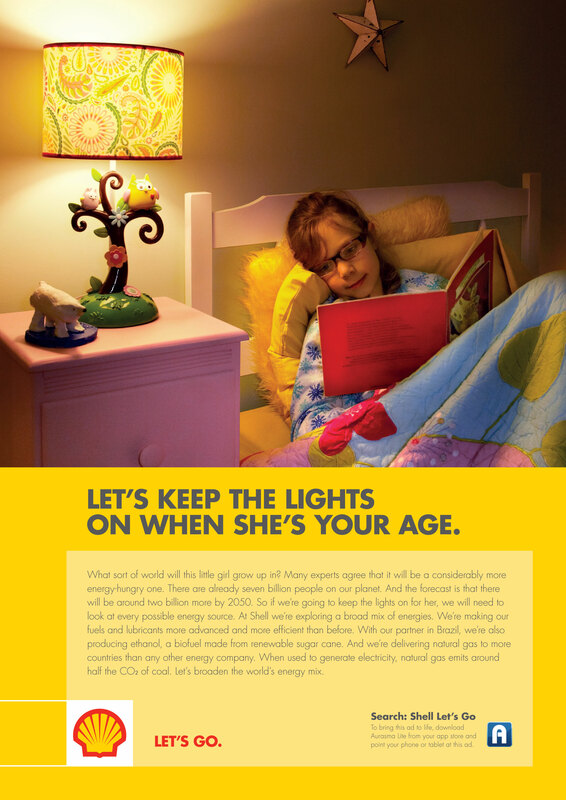 It is not enough to demand or warn that we should stop burning fossil fuels. We must present alternatives. Fine,many people do that however these alternatives almost always are alternate fuel sources not alternate infrastructure. As long as we continue to be let down by architecture. Forced to live in an operating system designed before the realization of the mistake of fossil fuels we will not solve this problem. In short we do not need alternate fuel we do not need more efficient autos we need new cities. Ones designed for today not ones designed for a horse then later retrofitted for automobiles. Our problems are design flaws in our living spaces. Thanks for your insightful comments. I’d be interested in hearing more about your proposed architectural design changes. For the Love of Mother Earth, start thinking about “Ancient Geo Engineering”……Like hello is everyone on this planet stupid enough to believe that the Pyramids are TOMBS? Like Hello one more time for possible penetration into the dense minds of Earthlings The pyramids on the Giza plateau control the Hawaiian hot spot. Now why would a bunch of Highly advanced intelligent beings want to control a Volcano.? anyone.? yes you in the back.! what’s that you say? Thats correct….! did you hear that people.? Your not as stupid as you look down here after all. The semi bright human in the back said to control temperatures by controlling ASH discharge into the atmosphere. Very Good..Grass hopper! And how do we do this with Giza Plateau Pyramids on the approximate same latitude of the Hawaiian Hot Spot on the other side of the planet…? yes, yes, spit it out son! By gravity control..! very good, my son, very good, by gravity control, Now how do you disable a pyramid that was set up to control the temperatures on Earth? right again you open them up and turn them into amusement parks, And how do we place the pyramids back on line? yes, yes, Right again! We repair the damage CRAZY humans did to the Earths thermostats i.e. the Great Pyramids of Giza, actually all the global pyramids the book “Pyramid Gravity Force” the only answer to CLIMATE CHANGE! Shaughnessy’s law of Gravity expressed as Amc^2/db=S is the new science people…..It’s pretty simple the Moon and geometrical shaped mass above he ellipsoid i.e. pyramids and mountains control magnetic iron rich magma streams and currents to lock magnetic north into true north, as you can see now with magma just spewing out of a plate boundary in Greenland is one of the results of opening up pyramids thus disabling them and allow Magnetic north to move. Here is an unknown all mountain ranged line up with mountain ranges 180 degrees apposed from each other and on the same approximate latitude, just like all large pyramids line up with Volcanoes 180 degrees from each other and on the same approximate latitude. I’m just pointing out the obvious, sorry for the above sarcasm if it offends anyone but may patients is at an end…..
Great post, Mia. I ran a CLE (continuing legal education) on Arctic OCS oil and gas development in Anchorage last Friday, with presentations from attorneys who work on both sides of the issue. The NYT and Nature articles were well-received by all. Alaska has a real problem in its staggering dependence on new oil and gas development. Expect a busy year from Senator Lisa Murkowski, especially if the ideas in the Nature article start to find some traction in DC.